On April 6 2015, the 25th Federal District Court of Rio de Janeiro published a decision where it applied the general principles of civil law in order to accept a request for cancellation of a trademark. The court accepted the request despite the claimant not having previously used any administrative remedies in attempting to cancel the trademark. Japanese company BANDAI NAMCO,the claimant, filed a lawsuit in 2013 against GHASSAN ALI NAHLE (defendant) and the Brazilian National Institute of Industrial Property(INPI) seeking the transfer or the nullity of three trademark registrations for the composite trademark “TEKKEN TEC”, which had been filed in 2006 before INPI by the defendant. The claimant, filed trademark applications for the trademark “TEKKEN” in 2009 on classes 9,28 and 41. However, INPI denied registration on class 9 based on the defendant’s further registrations in 2011. BANDAI NAMCO sought to nullify the defendant’s registration and claimed that it had been using the trademark “TEKKEN” for over 20 years, long before the defendant filed for his applications in 2006. The claimant based its requests on Art. 124, XVII and XXIII, Art. 126 of Law 9.279/96 (Industrial Property Law – LPI), and Art. 6bis of the Paris Convention. In its answer to the lawsuit, INPI agreed with the claimant’s requests. However, it pointed out that the claimant had not used the available administrative remedies to oppose and to nullify the trademark. Hon. Judge Felipe Bittencourt Potrich considered substantial evidence showing the strength of the mark “TEKKEN” and its development by BANDAI NAMCO since 1994. The Japanese company is known worldwide for developing famous video games and other electronic games. According to the Judge, it was clear that the claimant had created and developed the electronic games alone with the understanding that the fame of the mark “TEKKEN” was built solely by the BANDAI NAMCO. Moreover, the element “TEC” from the defendant’s mark “TEKKEN TEC” was not distinctive enough to avoid confusion with the claimant’s mark “TEKKEN”. The Judge further considered the relationship between the claimant’s product as software and the trademark system. The judge considered that the LPI prevents the registration of trademarks related to titles protected by copyright and those likely to cause confusion or association. Therefore, in his view, the fact that the defendant’s trademark implies an irremovable association with claimant’s product (software) should have prevented its registration at INPI. Despite the interesting factual circumstances and discussions related to the merits of the lawsuit set out above, the most significant aspect of this recent decision for trademark applicants and owners is the declaration of trademark invalidity by the court. The case is distinctive in that the court decided that the lack of opposition or post-grant review before INPI was not an obstacle to the courts findings. The court confirmed that previous case law has established that the failure to use available administrative remedies would prevent a claimant’s request for trademark invalidity before the Judiciary. However, considering the facts and circumstances of the case, and specifically the worldwide use of the mark by the claimant and possible bad faith of the defendant. Although being a decision from court of first instance, the above case creates an interesting precedent to allow big international companies to challenge third parties’ trademark registrations directly in the courts even if they have lost the deadline for administrative remedies. Ordinance no. 107/2013 of the Brazilian National Institute of Industrial Property (INPI), which came into force on 10 March 2015, contains new provisions for the examination of highly renowned marks, which are accorded "special protection in all fields of activity" under Section 125 of the Brazilian Trademark Law (Law no. 9.279/1996). INPI has now declared the trade mark FUSCA to be entitled to this special protection, FUSCA being the name by which the Volkswagen "Beetle" is known in Brazil. The evidence consisted of a survey of more than 2,000 people, of whom just over four-fifths had at least heard about that mark and 97% of respondents spontaneously associated the word with automobiles. 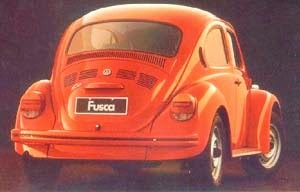 Around three quarters of those polled said they perceived FUSCA to be a "highly regarded" mark and that it signified "prestige, reputation and reliability". This declaration should assist Volkswagen in protecting its mark against the depredations of dilution, should it be necessary to go to court. 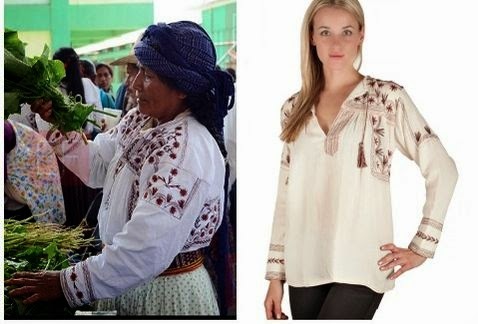 La foto de arriba muestra a una mujer mixe con su camiseta típica – Huipil – y a una modelo con la camisa diseñada por Isabel Marant. El origen del conflicto empezó con la acusación que hizo la cantora oaxaqueña Susana Harp en el pasado mes de enero, acusación que hasta ahora ha obtenido gran repercusión en las redes sociales. 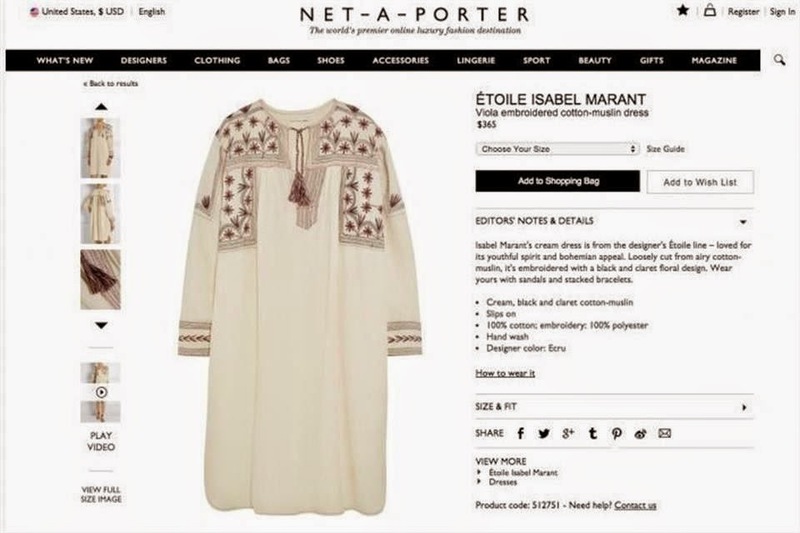 La difusión de la misma sin duda se debe a que la colección de Isabel Marant – que ha colaborado en el pasado con H&M – se vende en conocidos almacenes y páginas web dedicadas a comercializar famosas marcas de moda por una cantidad de hasta 6 veces más que su precio original en Oaxaca. De acuerdo con la Organización Radiofónica de Oaxaca, las autoridades municipales están elaborando un pronunciamiento, pues consideran que no se está respetando el sentido cultural y simbolismo de prendas que se imprimen desde tiempos ancestrales. 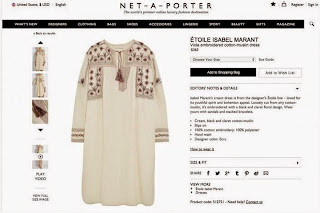 Desafortunadamente no es un caso aislado, ya en el 2012 se criticó a Mara Hoffman por copiar el diseño de los tenangos hidalguenses. Los diseñadores se defienden alegando que se trata de una simple “inspiración” y no de plagio, pero la realidad es que los diseñadores se benefician de dicha práctica y perjudican a los creadores originales. Curioso que si se copia a un diseñador se hable de piratería, pero si el diseñador plagia creaciones tradicionales se le llame “inspiración”. La comunidad Mixe debería considerar, al igual que lo han hecho los bordadores de tenangos, proteger sus creaciones adecuadamente. On May 7th the Chamber of Deputies of Chile open a debate regarding an initiative presented by the Executive, which seeks to modify Law 20,243. The draft Bill (bulletin 9889) seeks to modify the law that establishes rules on the moral and economic rights of performers and artistic performances which are fixed in audio-visual format. The debate was discussed by the Committee on Culture, Arts and Communications together with representatives of the National Society of Authors of Theatre, Cinema and Audio-visuals (ATN) as well as Chile Actor’s president Ms Esperanza Silva. The debate put forward the need to add that both, directors and screenwriters, have a patrimonial right on the registration of the work. In this context, the actress Esperanza Silva acknowledged how important it is to be granted rights over works, specially to writers and audio-visual directors and said that this is in need and just. She noted that music authors have enjoyed many rights since way back and she felt that it was an appropriate policy to be extended to directors and screenwriters. Another interesting proposition is seen in Art 4 which establishes as an ‘obligation’ that any payment/royalties must be paid through the corresponding collective management. After hearing the proposals of the guests, Deputy Marcos Espinosa (PRSD), said the project should pick up the signs for ‘safeguarding’ under the law what is happening in the reality. Additionally, the President of the Commission, Deputy Roberto Poblete (IND), said that "today was a tremendous contribution to listen to the representatives of ATN and Chile Actors, since our directors and script writers are very vulnerable and justice is of paramount to them”. Finally, the deputy Poblete said the next guidelines to be followed with respect to the project is to "try to establish a very clear definition of the different roles inside of audio-visual production” and which ones are under the umbrella of intellectual property. Source Camara de Diputados de Chile. Last week the Peruvian Instituto Nacional de Defensa de la Competencia y de la Propiedad Intelectual (INDECOPI) as part of the ‘Week of Intellectual Property’, celebrated by awarding two collective marks. The Directorate of Distinctive Signs (DSD) granted the two different producer associations (one in the region of Lambayeque and the other in Junin) collective marks in the production of dried mushrooms and trout respectively. Thus, by the use of the collective marks INDECOPI believes that these two associations will promote the product quality and improve the economy of Peruvian entrepreneurs. 1. ‘Hongos deshidratados Inka Wasi: De nuestra tierra a tu mesa’ (Dried mushrooms Inka Wasi: From our land to your table). The certificate was given to the Agricultural Forestry Conservation League Marayhuaca, located in the district of Incahuasi, in Lambayeque. INDECOPI adds that there are more than 250 families in the community, representing 60% of the district of Incahuasi, in Lambayeque region who would benefit from this. It is said that the mushroom is distinguished from others due to its particular qualities such as taste, texture and pleasant smell and a high nutritional value. They do grow in a forested area with at least 800 thousand pine trees. Moreover, the mushroom has gradually become much appreciated in the Peruvian gastronomy. 2. ‘Acuijunín Trucha de los Andes de Junín’ (Trout Acuijunín Junin de los Andes), was granted to the Trout Producers Association Junin. The mark became as part of UNIDO (United Nations Industrial Development Organization) will to form this union in order to strengthen the trout production in the region as well as helping them with the trading systems. In the week INDECOPI also saw an agreement with the Peruvian Society of Gastronomy (Apega) to develop a certification mark. With this alliance, INDECOPI will advise restaurants that are associated members to Apega. The certification mark would refer to health allowing processes to be standardized which will affect, in a positive way, the result in the quality of services delivered to consumers. To conclude INDECOPI adds that the mark will “record the compliance with good handling practices and food preservation, adding value to the gastronomic activity.” Consumers will see this mark as to represent that the service is adequate and would “feel confident”.